June 1926 Yale PhD photo inscribed "for Professor R.S.Lull with the deepest regards of his pupil George G. Simpson"
George Gaylord Simpson whose CK is above The Meaning of Evolution et. al. He did not write Origin of Species but did write a foreword for an edition. George Gaylord Simpson was an American paleontologist. 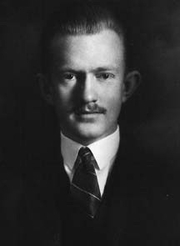 Simpson was perhaps the most influential paleontologist of the twentieth century, and a major participant in the modern evolutionary synthesis, contributing Tempo and mode in evolution (1944), The meaning of evolution (1949) and The major features of evolution (1953). He was an expert on extinct mammals and their intercontinental migrations.nHe anticipated such concepts as punctuated equilibrium (in Tempo and mode) and dispelled the myth that the evolution of the horse was a linear process culminating in the modern Equus caballus. He coined the word hypodigm in 1940, and published extensively on the taxonomy of fossil and extant mammals. Simpson was influentially, and incorrectly, opposed to Alfred Wegener's theory of continental drift. George Gaylord Simpson is currently considered a "single author." If one or more works are by a distinct, homonymous authors, go ahead and split the author. George Gaylord Simpson is composed of 12 names. You can examine and separate out names.